With spring lots of animals come out of hibernation and one of our favourites are the frogs. Suddenly the pond is teeming with frogs and very soon frogspawn is covering the surface and we head off to collect it and raise our own tadpoles. Ever since I was a child it was one of the family traditions we had. 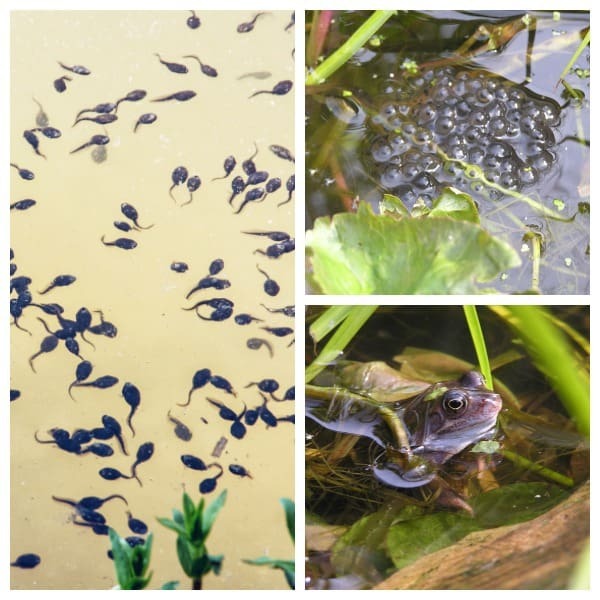 I loved watching the frogs and toads develop from the frog spawn in a tank on the nature table or in a small pond from the eggs to the tadpoles to froglets. 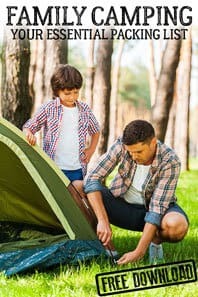 Now I have children of my own it’s a great way for my kids and their friends to get closer to nature and start to work on the gap that is forming as children spend more time on screens and less time outside and in nature. 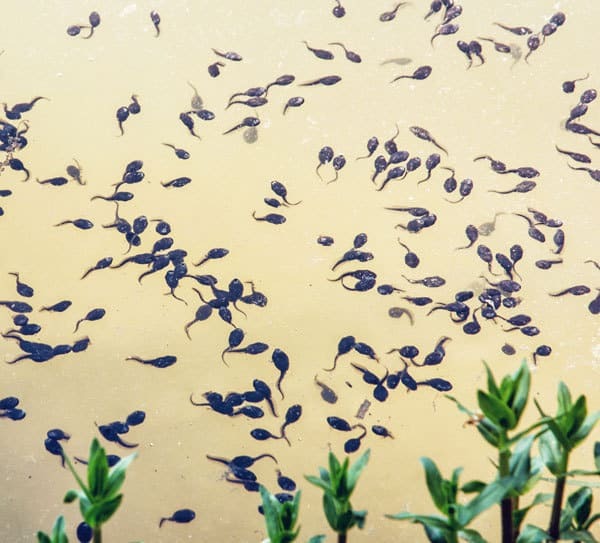 Tadpoles are relatively easy to raise in a tank and then release back to the pond you found them in or start your own colony of frogs in a new pond within your back garden. 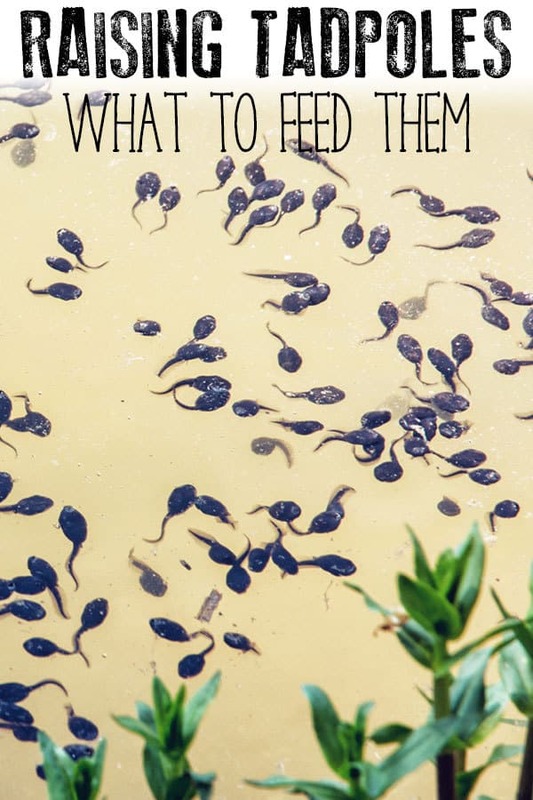 You can find our full guide to raising tadpoles with tips on what equipment you need as well as the best way to collect the frogspawn when you find it. 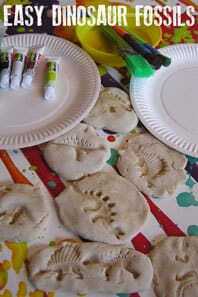 Discover our Frog and Tadpole Crafts and Activities for Kids perfect for doing whilst you watch your tadpoles develop. One of the questions that I get asked frequently is what do you feed the tadpoles once you have them and I have seen various different recommendations on sites starting with “feed the tropical fish food” or “Turtle Pellets” to buying expensive Tadpole and Frog Food. NO NO NO NO NO! It’s much easier than you think to feed the tadpoles. Tadpoles start out as algae eaters – so they are plant feeders. You can use a piece of pondweed from the pond where you found the eggs that is covered in algae as their food source. However, it’s not needed – the easiest form of tadpole food is a slice of cucumber – slice the cucumber and then remove the outside so that your tadpoles have access to the soft inner layers of the cucumber and let it float on the surface. Another alternative is to lightly boil some lettuce this will break the tough cellulose layers and then feed a little of this lettuce to the tadpoles. As they grow bigger and the gills disappear and legs form, they transition into carnivores specifically eating insects. The main source of insects for these froglets are those found swimming in the pond water and on the surface so in the days before you return them to the pond make sure that you have followed our instructions on how to change your tadpoles water and then you should have lots of little insects for the froglets to eat. So when they first hatch – either algae or the cucumber or lettuce described above. As they transform into frogs they turns into insect eaters so pond insects that you find naturally in pond water. We have included affiliate links to products we have used and recommend. If you purchase via one of these links we may earn a small commission. If you have an old fish tank or aquarium laying around – fantastic if not then a glass vase will work – the larger the surface area the less frequently you will need to change the water but if not then you don’t need anything special – these little aquariums are perfect they have carry handles, and once the frogs have been released you could easily use them for watching snails, caterpillars or similar creatures during the summer months. At the point where your tadpoles lose their gills and their legs form they need a place to rest and breathe a rock in the tank is ideal. 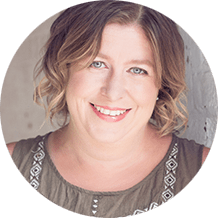 Although you can use a rock from the pond or garden with the garden rocks you do need to be careful what you are bringing in so we have used rock in the past that is designed for aquariums. If raising and feeding your own tadpoles is something that you would like to do with your children but you have no idea where to find tadpoles then did you know you can purchase a Grow a Frog kit. Don’t worry Amazon won’t ship you the frog instead you get a coupon and send off for a tadpole and then raise the tadpole to froglet. 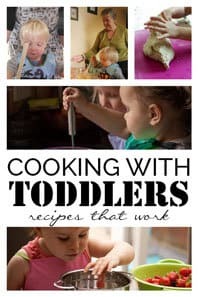 As I said raising tadpoles is one of the great spring activities you can do with children that will help to connect them with the natural world. As they watch the tadpoles develop you can help them understand what is going on through some fun and easy learning activities. 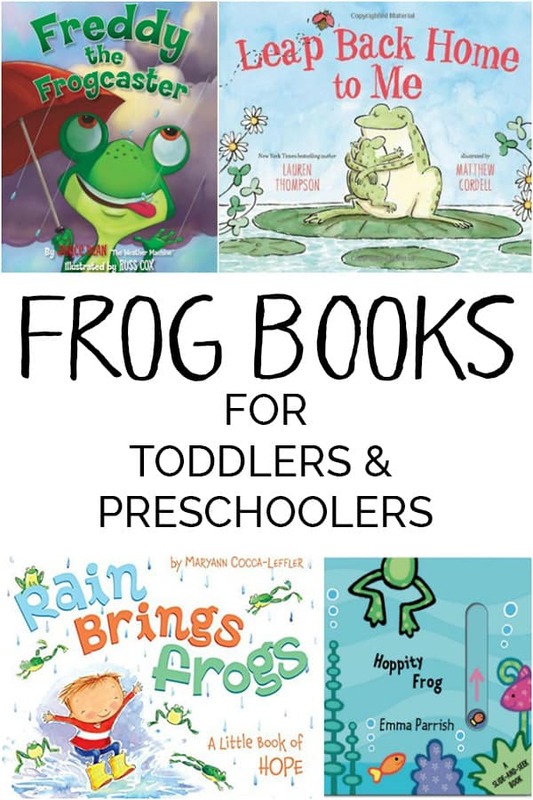 Share some fun books with your youngsters and read about frogs and tadpoles. We have a fun selection of fiction and non-fiction books which are fantastic to read aloud and share with toddlers and preschoolers however slightly older children will enjoy many of these as well. 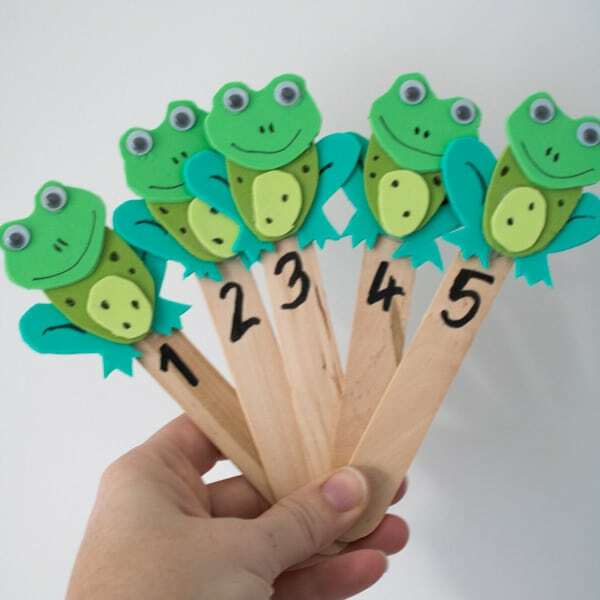 Sing one of our favourite counting rhymes about frogs and use these cute little craft stick puppets to accompany the song Five Little Speckled Frogs. Based on the song 5 Little Speckled Frogs we created a simple math game to count the frogs going into and out of the pond. Simple addition and subtraction for Toddlers and Preschoolers. 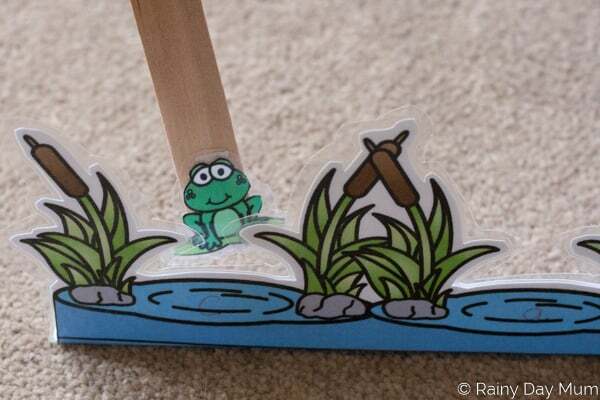 Jump into the pond and support your child as they learn to read with this Frog Hop Phonics Game. Previous Post: « How to Test Rocks with Kids? This is so great! We have a koi pond at our new house and last year our first summer we had no koi but we had tadpoles and enjoyed watching them mature into frogs! But we had no idea we could catch them and feed them ourselves. 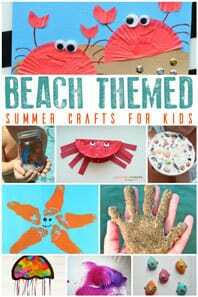 The kids have a portable aquarium like you showed – it’s perfect! I can’t wait to do this. 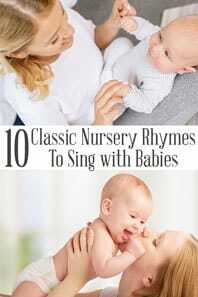 You and the kids will have such a great time watching them grow. It’s something I remember from my childhood and couldn’t wait to do it with my kids. If you have any questions that come up please ask away. Useful advice, however we’ve just filled in the pond and replaced with a brand new one I. A different location. The frogs have filled it with spawn still but this new pond won’t yet have much natural food – we will give them cucumber and lettuce when they’re young, but when they’re older is fish food (or anything else) any use to them as a supplement to help them between bugs? 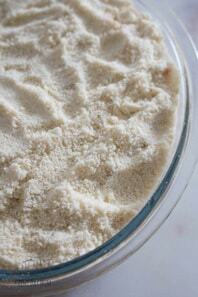 Hi, there is specialist tadpole food that you can buy. However, if you can get some pond water then bugs like water fleas, mayfly lavae and other fly lavae will be present and this should quickly populate the pond. Also any pond plants should come with their own fauna that will provide food for them.